Geo. Meller household, 1870 US Census, Des Moines County, Iowa, population schedule, Burlington, sheet 338, dwelling 241, family 255, age 42, occupation Farmer. Geo. Meller household, 1870 US Census, Des Moines County, Iowa, population schedule, Burlington, sheet 398B, dwelling 241, family 255, age 42, occupation Farmer. Ellen Miller household, 1880 U.S. Census, Des Moines County, Ellen Miller, population schedule, Burlington, ED 109, sheet 126A, dwelling 77, family 78, age 42, occupation Keeping House. Virginia Marriages,1785-1940, database, FamilySearch, online http://familySearch.org, FamilySearch (https://familysearch.org/ark:/61903/1:1:XRHN-1G4 : accessed 30 November 2015), Milton Fitzhugh and Mary C. Gibson, 17 Dec 1850; citing Culpeper, Virginia, reference P 102; FHL microfilm 30,927. Frances B. Gibson household, 1860 U.S. Census, Prince William County, Frances B. Gibson, population schedule, Bristol Station P.O., dwelling 466, family 231, age 71, occupaton None. John S. Buckner household, 1870 U.S. Census, Rappahannock County, Virginia, population schedule, Piedmont, sheet 147B, dwelling 211, family 211, age 51, occupation Farmer. Wm. J. Winfield household, 1880 U.S. Census, Rappahannock County, Virginia, population schedule, Piedmont, ED 130, sheet 318A, dwelling 34, family 35, age 30, occupation Drygoods. Reuben Slaughter household, 1850 U.S. Census, Rappahannock County, Virginia, population schedule, County, dwelling 89A, family 65, 65. Public Member Tree, online search.ancestry.com, Sandy_SFamily2015 - oldtimer. Virginia Marriages,1785-1940, database, FamilySearch, online http://familySearch.org, FamilySearch (https://familysearch.org/ark:/61903/1:1:X51Z-R77 : 5 December 2014), Alfred Jackson Boulware and Ann Tripple Slaughter, 15 Nov 1853; citing Rappahannock, Virginia, reference Item 3 P 110 L 31; FHL microfilm 2,048,472. Alfred J Boulware household, 1860 U.S. Census, Spotsylvania County, Virginia, population schedule, St Georges Parish, dwelling 399, family 862, 862. Ann T Boulware household, 1870 U.S. Census, Spotsylvania County, Virginia, population schedule, Fredericksburg PO, Cortland, sheet 310B, dwelling 214, family 819, age 42, occupation Farmer. Public Member Tree, online search.ancestry.com, Vogel Family Tree A - justin_marcia1. Find A Grave - Memorial Page, online www.findagrave.com, Milley Jane Frakes Bee - Find A Grave Memorial# 155212325. John Bee household, 1860 U.S. Census, Putnam County, John Bee, population schedule, Monroe, dwelling 20, family 136, age 30, occupation Farmer - Renter. John Bee household, 1880 U.S. Census, Putnam County, Indiana, population schedule, Jackson, sheet 147, dwelling 342C, family 176, 196. Jefferson W. Cox household, 1900 U.S. Census, Putnam County, Jefferson W. Cox, population schedule, Jackson, ED 0078, sheet 1A, dwelling 2, family 2, age 28, occupation Farmer. Indiana, Marriages, 1810-2001 [database on-line]. Provo, UT, USA: Ancestry.com Operations, Inc., 2014., online search.ancestry.com, Page: 73; FHL Film Number: 001315790. Arkansas, County Marriages Index, 1837-1957 at Ancestry.com, online search.ancestry.com, Marriage County: Hempstead; Event Type: Marriage; FHL Film Number: 1005876. Thomas Henry Young was born circa 1828 at New York.1 He married Mary Amelia Vail after 1848 at New York.3 Thomas Henry Young married Hortense J Dyer on 18 October 1864 or 28 October 1864 at New York.1,4,3 Thomas Henry Young and Hortense J Dyer appeared on the census of 9 June 1880 in Southold, Suffolk County, New York.1 Thomas Henry Young and Hortense J Dyer appeared on the census of 1 June 1900 in Southold.5 Thomas Henry Young died in 1907 at Suffolk County, New York; Posted at Find-A-Grave: "b. Dec 27, 1827 Orient, son of Thomas Vincent YOUNG and Hannah BROWN, m1. Mary Amelia VAIL m2. Oct 28, 1864 Southold, Hortense J DYER.3"
Find A Grave - Memorial Page, online www.findagrave.com, Hortense J Dyer Young - Find A Grave Memorial# 16146435. Find A Grave - Memorial Page, online www.findagrave.com, Thomas Henry Young - Find A Grave Memorial# 16146438. Find A Grave - Memorial Page, online www.findagrave.com, William Sing Young - Find A Grave Memorial# 16146443. Herbert N Hart household, 1910 U.S. Census, Kent County, Michigan, population schedule, Grand Rapids, ED 99, sheet 2A, dwelling 30, family 30, age 55, occupation Stock Keeper - Steam Heating Works. Luman Moon household, 1860 U.S. Census, Lapeer County, Michigan, population schedule, Elba, sheet 994, dwelling 1955, family 1831, age 43, occupation Farmer. Luman Moon household, 1870 U.S. Census, Lapeer County, Michigan, population schedule, Elba, sheet 119B, dwelling 124, family 120, age 53, occupation Farmer. Luman Moon household, 1880 U.S. Census, Genesee County, Luman Moon, population schedule, Flint, ED 074, sheet 208B, dwelling 407, family 438, age 63, occupation Laborer. Luman Moon household, 1900 U.S. Census, Genesee County, Luman Moon, population schedule, Flint, ED 0014, sheet 15B, dwelling 370, family 405, age 83, occupation None. Edward B Curtis household, 1880 U.S. Census, Fairfield County, Connecticut, population schedule, Stamford, ED 152, sheet 293B, dwelling age 54, occupation Oil Merchant. Connecticut Marriages, 1630-1997, database, online familysearch.org, FamilySearch (https://familysearch.org/ark:/61903/1:1:F7PM-6X5 : 17 March 2018), Edward B. Curtis and Margaret A. Curtis, 1851. Agus Curtiss household, 1850 US Census, Fairfield County, Agus Curtiss, population schedule, Stratford, dwelling 314B, family 338, age 65, occupation Farmer. Edward Curtia household, 1860 U.S. Census, New York County, New York, population schedule, New York, sheet 495, dwelling 181, family 429, age 36, occupation Master Machinest. Edward Curtia household, 1870 U.S. Census, New York County, Edward Curtia, population schedule, New York, dwelling 709, family 448, age 40, occupation Sugar Refiner. Joseph King household, 1880 U.S. Census, Sutter County, California, population schedule, Sutter, ED 135, sheet 396D, dwelling 91, family 94, age 24, occupation Farmer. Joseph King household, 1850 U.S. Census, St. Louis City, Missouri, population schedule, Saint Lewis, dwelling 172, family 42, 42. James M. Jessup household, 1870 US Census, Cumberland County, North Carolina, population schedule, Cedar Creek, sheet 185, dwelling 169, family 177, age 42, occupation Farmer. James McD Jessup household, 1880 United States census, Cumberland County, James McD Jessup, population schedule, Cedar Creek, ED 59, sheet 415, dwelling 337, family 337, age 53, occupation Farmer. James Jessup household, 1900 U.S. Census, Cumberland County, North Carolina, population schedule, Cedar Creek, ED 20, sheet 19B, dwelling 265, family 267, age 72, occupation Farmer. J. H. Titus household, 1880 U.S. Census, King County, Washington, population schedule, White River, ED 11, sheet 291B, dwelling 16, family 19, age 56, occupation Farmer and Blacksmith. Edmund West, comp.. Family Data Collection - Individual Records [database on-line]. Provo, UT, USA: MyFamily.com, Inc., 2000., online at search.ancestry.com, Edmund West, comp.. Family Data Collection - Births [database on-line]. Provo, UT, USA: The Generations Network, Inc., 2001. James H. Titus household, 1850 United States census, Kennebec County, Maine, population schedule, town, sheet 62, dwelling 138, family 147, age 26, occupation Farmer. J.H. Titus household, 1860 U.S. Census, Butte County, California, population schedule, Bidwell, sheet 718, dwelling 648, family 660, age 35, occupation Blacksmith. James H. Titus household, 1870 U.S. Census, Butte County, California, population schedule, Ophir, sheet 99, dwelling 171, family 166, age 46, occupation Blacksmith. James H. Titus household, 1900 U.S. Census, King County, Washington, population schedule, Kent, ED 76, sheet 11A, dwelling 222, family 227, age 76, occupation Land Lord. David Lesher household, 1850 United States census, Cumberland, Pennsylvania, population schedule, Hopewell, sheet 168, dwelling 122, family 132, age 65, occupation Farmer. Casper Lesher household, 1850 United States census, Cumberland, Pennsylvania, population schedule, Hopewell, sheet 168, dwelling 122, family 131, age 22, occupation Laborer. Jonathan Packer household, 1850 U.S. Census, Branch County, Michigan, population schedule, Coldwater, sheet 360, dwelling 332, family 362, age 31, occupation Laborer. Public Member Tree, online search.ancestry.com, Larrison Family Tree - RalphGrahamFirzlaff. Jonathan Packar household, 1850 U.S. Census, Branch County, Michigan, population schedule, Coldwater, sheet 360B, dwelling 332, family 362, age 31, occupation Laborer. Wettley Hensley household, 1860 U.S. Census, Rockingham County, Virginia, population schedule, District 1, sheet 636, dwelling 2167, family 2120, age 32, occupation Farmer. James Hensley household, 1850 U.S. Census, Rockingham County, Virginia, population schedule, District 56 and A Half, dwelling 181, family 123, 123. Wesley household, 1870 U.S. Census, Rockingham County, Virginia, population schedule, Elk Run, sheet 106A, dwelling 283, family 283, age 42, occupation Farmer. Wesley Hensley household, 1880 U.S. Census, Page County, Virginia, population schedule, Shenadoah, ED 061, sheet 358B, dwelling 340, family 350, age 58, occupation Farmer. Find A Grave - Memorial Page, online www.findagrave.com, Mathew H. Hensley - Find A Grave Memorial# 38650212. James B. Alden household, 1850 U.S. Census, Wyandot County, ohio, population schedule, Crane, sheet 328, dwelling 264, family 1673, age 37, occupation Farmer. James B. Alden household, 1850 U.S. Census, Wyandot County, ohio, population schedule, Crane, sheet 328A, dwelling 264, family 1693, age 37, occupation Farmer. 1871 British Census Index., online search.ancestry.com, Source Citation: Class: RG10; Piece: 1520; Folio: 61; Page: 37; GSU roll: 829777. 1861 British Census Index., online search.ancestry.com, Thomas Wilson Family. Source Citation: Class: RG9; Piece: 968; Folio: 61; Page: 36; GSU roll: 542729. District: Peterborough; County: Cambridgeshire, Huntingdonshire, Lincolnshire, Northamptonshire; Volume: 15; Page: 476. Thomas Wilson Household, Crowland, Lincolnshire, 1881 Census Returns of England and Wales. 1891 British Census: Ancestry.com. Provo, UT: Ancestry.com, 2002-. Indexed by Ancestry.com from microfilmed schedules of the England 1891 Census. Images reproduced by courtesy of the Public Record Office, London, England., online search.ancestry.com, Thomas Wilson; Class: RG12; Piece: 1232; Folio 140; Page 10; GSU roll: 6096342. 1871 British Census Index., online search.ancestry.com, Class: RG10; Piece: 2345; Folio: 59; Page: 7; GSU roll: 835095. 1861 British Census Index., online search.ancestry.com, Class: RG9; Piece: 1598; Folio: 69; Page: 31; GSU roll: 542837. David James household, 1850 U.S. Census, Fauquier County, Virginia, population schedule, South West Revenue, dwelling 280, family 1064, 1064. Capt David James household, 1850 U.S. Census, Fauquier County, Virginia, population schedule, Ashbys, dwelling 243, family 641, 641. Emil G(L)arson household, 1880 U.S. Census, El Dorado County, California, population schedule, Placerville, ED 056, sheet 137C, dwelling 148, family 148, age 54, occupation Wood Choper. Nels T. E. Larsen household, 1870 U.S. Census, El Dorado County, California, population schedule, Placerville, sheet 100A, dwelling 232, family 191, age 44, occupation Farmer. Find A Grave - Memorial Page, online www.findagrave.com, Neils Theodore Emil Larson - Find A Grave Memorial# 53814717. Michigan, Death Records, 1867-1950 viewed online at Ancestry.com, online search.ancestry.com, George Amonl - State Office No: 211 1450. Find A Grave - Memorial Page, online www.findagrave.com, Wilson Amon - Find A Grave Memorial# 14239679. Conrad Amon household, 1870 U.S. Census, St Joseph County, Indiana, population schedule, Clay, sheet 94, dwelling 94, family age 42, occupation Farmer. Conrad Amon household, 1880 U.S. Census, St Joseph County, Conrad Amon, population schedule, Penn, dwelling 159, family 47, 48. Find A Grave - Memorial Page, online www.findagrave.com, Conrad Amon - Find A Grave Memorial# 19672406. Find A Grave - Memorial Page, online www.findagrave.com, Albert Amon - Find A Grave Memorial# 101933482. Find A Grave - Memorial Page, online www.findagrave.com, Henry Amon - Find A Grave Memorial# 27939796. Azubah Ford household, 1850 U.S. Census, Berkshire County, Massachusetts, population schedule, New Marlborough, dwelling 285B, family 307, 344. Mary Ellen Thompson Saxon, "LDS Online Family Search", Ancestral File, 1880 Census - Family of Ira O. Haven. Ira O Haven household, 1860 U.S. Census, Windham County, Vermont, population schedule, Durmerston, sheet 252, dwelling 167, family 171, age 36, occupation Farmer. U.S., Civil War Soldiers Records and Profiles, 1861-1865; Historical Data Systems, [database on-line]. Provo, UT, USA: Ancestry.com Operations Inc, 2009. Original data: Data compiled by Historical Data Systems of Kingston, MA . Viewed at Ancestry.com, online search.ancestry.com. Samuel Van Horn was born in March 1828 at Virginia. He was the son of Jesse Van Horn and Elizabeth (? )2 Samuel Van Horn was born in 1829.3 He was recorded in the census of Jesse Van Horn and Elizabeth (?) on 14 September 1850 at Rappahannock County, Virginia.4 Samuel Van Horn was recorded in census of Jesse Van Horn on 28 June 1860 at Rappahannock County, Virginia.3 Samuel Van Horn appeared on the census of 11 July 1870 in Stonewall, Rappahannock County, Virginia.5 He married Mary Eleanor Rutherford Brown, daughter of Rev Richard Templeman Brown and Marion Rebecca Wilmer, on 28 July 1874 at Rappahannock County.6,2 Samuel Van Horn was recorded in the census of Fannie Van Horn on 14 June 1880 at Stonewall, Rappahannock County, Virginia.7 Samuel and Mary Van Horn appeared on the census of 26 June 1900 in Hawthorne, Rappahannock County.8 Samuel Van Horn Served with the 34 Reg't Virginia Militia as a Corpl in Complany D.
Virginia Marriages,1785-1940, database, FamilySearch, online http://familySearch.org, Indexing Project (Batch) Number: M00624-7; System Origin: Virginia-EASy; Source Film Number: 2048472; Reference Number: Item 3 P 227 L 32. Jessie Vanhorn household, 1860 U.S. Census, Rappahannock County, Virginia, population schedule, Woodville, dwelling 143, family 174, 157. Jessie Van horn household, 1850 U.S. Census, Rappahannock County, Virginia, population schedule, Rappahannock County, dwelling 101, family 235, 235. Samuel Vanhorn household, 1870 U.S. Census, Rappahannock County, Virginia, population schedule, Stonewall, sheet 158, dwelling 58, family 57, age 43. Richard T. Brown household, 1870 U.S. Census, Rappahannock County, Virginia, population schedule, Woodville, sheet 157a, dwelling 31, family 31, occupation Minister. Fannie Vanhorn household, 1880 U.S. Census, Rappahannock County, Virginia, population schedule, Stonewall, ED 131, sheet 349.2, dwelling 172, family 184, age 30, occupation Keeping House. Samuel Van Horn household, 1900 U.S. Census, Rappahannock County, Virginia, population schedule, Hawthorne, ED 61, sheet 9B, dwelling 152, family 153. Iowa, County Marriages, 1838-1934, Index at FamilySearch, online familysearch.org, FamilySearch (https://familysearch.org/pal:/MM9.1.1/XJF2-45H : accessed 02 Oct 2014), Jas. W. Harrington and Nanna E. Deitrick Weidner, 07 Feb 1893; citing Leon, Decatur, Iowa, United States; FHL microfilm 1009355. Find A Grave - Memorial Page, online www.findagrave.com, Andrew Joseph "John" Detrick - Find A Grave Memorial# 33175133. Find A Grave - Memorial Page, online www.findagrave.com, Amanda Estella "Nanna" Detrick Harrington - Find A Grave Memorial# 159766944. Find A Grave - Memorial Page, online www.findagrave.com, Susannah M "Susan" Harrington Detrick - Find A Grave Memorial# 32830817. Rootsweb Worldconnect Family Trees - St Croix Valley Roots - Mostly Washington Co., Maine and Seacoast NH families, online www.rootsweb.com. Wm K. Barton household, 1860 U.S. Census, Sanpete County, Utah Territory, population schedule, Manti, dwelling 651, family 110, 110. Thos Barton Household, Manchester, Lancashire, 1841 Census Returns of England and Wales. 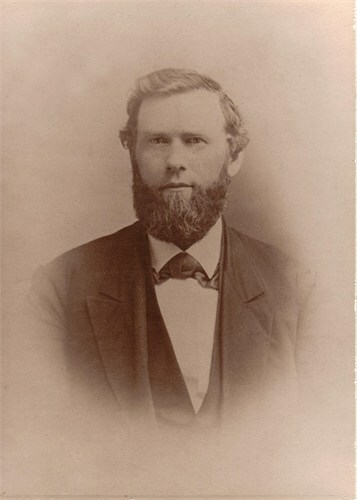 Utah Mormon Pioneer Overland Travel Database, 1847-1868, viewed at FamilySearch, online familysearch.org, FamilySearch (https://familysearch.org/ark:/61903/1:1:QK9B-CK4S : accessed 2 August 2015), William Kilshaw Barton, 06 Sep 1852; from "Mormon Pioneer Overland Travel: 1847-1868," database, Church History (https://history.lds.org/overlandtravels/ : 2015). Find A Grave - Memorial Page, online www.findagrave.com, William Kilshaw Barton - Find A Grave Memorial# 44513803. 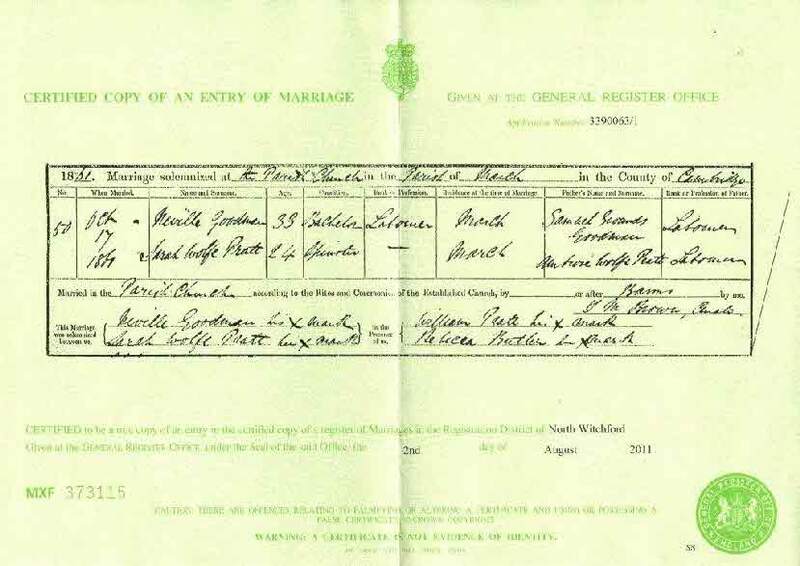 England & Wales, FreeBMD Marriage Index: 1837-1983 [database on-line]. Provo, UT, USA: The Generations Network, Inc., 2006. Original data: General Register Office. England and Wales Civil Registration Indexes. London, England: General Register Office., online www.ancestry.com, Marriage Index: 1847 Jul-Aug-Sep for Liverpool, Lancashire County, Volume: 20; Page 254. William Barton household, 1870 U.S. Census, Sanpete County, Utah Territory, population schedule, Manti, dwelling 40, family 13, 13. Wm. K. Barton household, 1860 U.S. Census, Sanpete County, Utah Territory, population schedule, Manti, dwelling 651, family 110, 110. Wisconsin Marriages, 1835-1890. County court records located at Lancaster, WI or FHL #1266662 and 1266982-1266988. Perry McKamish household, 1860 U.S. Census, Grant County, Wisconsin, population schedule, Beetown, sheet 16, dwelling 1387, family 1358, age 32, occupation Miner. United States Civil War Soldiers Index, 1861-1865, database, online www.familysearch.org, FamilySearch (https://familysearch.org/ark:/61903/1:1:FS35-XT5 : 4 December 2014), O. P. McCamish, Blacksmith, Company C, 2nd Regiment, Wisconsin Cavalry, Union; citing NARA microfilm publication M559 (Washington D.C.: National Archives and Records Administration, n.d.), roll 19; FHL microfilm 882,504. United States General Index to Pension Files, 1861-1934, database with images, FamilySearch (https://familysearch.org/ark:/61903/1:1:KDBQ-J62 : 3 April 2015),, online familysearch.org, FamilySearch (https://familysearch.org/ark:/61903/1:1:KDBC-87L : 13 March 2018), Oliver P Mccamish, 1880. United States Census of Union Veterans and Widows of the Civil War, 1890," database with images,, online www.familysearch.org, FamilySearch (https://familysearch.org/ark:/61903/1:1:K8SC-NM5 : 11 March 2018), Oliver P Mccamish, 1890; citing NARA microfilm publication M123 (Washington, D.C.: National Archives and Records Administration, n.d.); FHL microfilm 338,272. Perry McCamish household, 1900 U.S. Census, Grant County, Wisconsin, population schedule, Glen Haven, ED 33, sheet 7B, dwelling 137, family 139, age , occupation Mail Carrier. Wm Heath household, 1880 U.S. Census, Rice County, Minnesota, population schedule, Morristown, ED 141, sheet 342A, dwelling 167, family 170, age 56, occupation Farmer. Wm. L. Heath household, 1850 U.S. Census, Waseca County, Minnesota, population schedule, Wilton, dwelling 0, family 396, 297. Public Member Tree, online search.ancestry.com, SHULER1 - HeidiShuler63. Fanny Bills household, 1850 U.S. Census, Suffolk County, New York, population schedule, East Hampton, dwelling 418, family 1211, 1317. Edmund West, comp.. Family Data Collection - Individual Records [database on-line]. Provo, UT, USA: MyFamily.com, Inc., 2000., online at search.ancestry.com, Adelia A. Bill - Source Citation: Birth year: 1828; Birth city: Groton; Birth state: CT.
Wm. L. Heap household, 1850 U.S. Census, Waseca County, Minnesota, population schedule, Wilton, dwelling 372, family 306, 297. William L. Heath household, 1870 U.S. Census, Rice County, Minnesota, population schedule, Morristown, sheet 427, dwelling 113, family 110, age 45, occupation Farmer. William L. Heath household, 1900 U.S. Census, Rice County, Minnesota, population schedule, Morristown, ED 0154, sheet 9B, dwelling 185, family 197, age 76, occupation Farmer. Find A Grave - Memorial Page, online www.findagrave.com, Adelia Avery Bill Heath - Find A Grave Memorial# 135064424. Ancestry.com. Virginia, Select Marriages, 1785-1940 [database on-line]. Provo, UT, USA: Ancestry.com Operations, Inc, 2014. Original data: Virginia, Marriages, 1785-1940. Salt Lake City, Utah: FamilySearch, 2013., online search.ancestry.com, Richard C. Beale and Emma B. Garnett Marriage Place: King and Queen County, Virginia; Father: R.L.G. Beale; Mother: Lucy M. Brown; Spouse: Susie M.H. Garnett; FHL Film Number: HL Film Number: 2048458; Reference ID: Image 132. Find A Grave - Memorial Page, online www.findagrave.com, Col Thomas Stuart Garnett - Find A Grave Memorial# 5841482. Thos. S. Garnett household, 1850 U.S. Census, Westmoreland County, Thos. S. Garnett, population schedule, Cople, dwelling 309B, family 574, Age 25, occupation Physician. Find A Grave - Memorial Page, online www.findagrave.com, Maria Ramona Anselm Yorba Wilson - Find A Grave Memorial# 105448425. Benjamin D. Wilson household, 1850 U.S. Census, Los Angeles County, Benjamin D. Wilson, population schedule, Los Angeles, dwelling 6A, family 70, age 39, occupation Merchant. John F. Abel household, 1900 U.S. Census, Colusa County, California, population schedule, Freshwater, ED 8, sheet 8A, dwelling 155, family 155, age 72, occupation Farmer. California, Death and Burial Records from Select Countyies, 1873-1987, online interactive.ancestry.com, Colusa County, City of Williams, California Board of Helth: Local Reg. No: 41. John Able household, 1880 U. S. Census, Colusa County, John Able, population schedule, Fresh Water, ED 16, sheet 487C, dwelling 160, family 163, age 52, occupation Farmer. U.S. Bureau of Land Management - General Land Office (GLO) Records Automation web site. Provides live access to Federal land conveyance records for the Public Land States., online www.glorecords.blm.gov/PatentSearch/Default.asp?, Doc. Nr: 8740; Accession/Serial Nr: CACAAA 009704. Geroge Abel household, 1900 U.S. Census, Colusa County, California, population schedule, Freshwater, ED 8, sheet 8A, dwelling 156, family 156, age 36, occupation Farm Labor. Henry Abel household, 1900 U.S. Census, Colusa County, California, population schedule, Freshwater, ED 8, sheet 8A, dwelling 154, family 154, age 29, occupation Farm Labor. James M Davidson was born on 4 May 1828 at Glasgow, Scotland.1,3 He was the son of Hugh Davidson and Elizabeth Mc Naughton.1,2 James M Davidson was listed in the census of Hugh Davidson and Jane Hamilton on 11 September 1850 at Geneva, Walworth County, Wisconsin.1 James M Davidson married Mary Ann Nolan on 12 June 1853 at Albany, Albany County, New York.4 James M Davidson married Anna Margurite Shaddle on 5 November 1863 at Evanston, Illinois.4 James M Davidson appeared on the census of 30 June 1870 in Washington, District of Columbia.5 He died on 30 March 1893 at Fremont, Dodge County, Nebraska, at age 64; "James M. Davidson, oldest son of our honored townsman Hugh Davidson, was born in Glasgow, Scotland, May 4, 1828. He came to this state and purchased the land on which his father now lives, about 43 years ago. In 1852 he went to Albany, N. Y., where he lived for a few years, and then took a theological course in Evanston, after which he joined the Methodist Episcopal conference and began preaching in Missouri where he was when the rebellion broke out. As he was a strong abolitionist, some of his neighbors gave him a certain length of time to get out of the country. He then sent his wife and children north but remained there himself and joined the army. Hugh Davidson household, 1850 U.S. Census, Walworth County, Wisconsin, population schedule, Geneva, dwelling 253, family 438, 438. Ancestry.Com, online search.ancestry.com, Davidson Family Tree -. Public Member Tree, online search.ancestry.com, J. Davidson Family Tree - Extract of a Wisconsin newspaper for 1893. Public Member Tree, online search.ancestry.com, J. Davidson Family Tree. James Davidson household, 1880 U.S. Census, Mitchell County, James Davidson, population schedule, Beloit, ED 182, sheet 92C, dwelling 101, family 116, age 51, occupation Minister. James Lowing household, 1870 U.S. Census, Ottawa County, Michigan, population schedule, Georgetown, sheet 60, dwelling 109, family 108, age 51, occupation Farmer. James Lowing household, 1880 U.S. Census, Kent County, Michigan, population schedule, Grand Rapids, ED ED, sheet Pg, dwelling 278, family 316, age 61, occupation Engineer. Find A Grave - Memorial Page, online www.findagrave.com, Emily Kimmerly Bowen Lowing - Find A Grave Memorial# 85765794. Public Member Tree, online search.ancestry.com, Entry for James O. F. Lowing. Sixth Census of Canada, 1921. Ottawa, Ontario, Canada: Library and Archives Canada, 2013. Series RG31. Statistics Canada Fonds., online www.ancestry.com, Province: Canada West (Ontario); District: Brant County; District Number: 2; Sub-District: Burford; Sub-District Number: 7; Page: 9; Line: 48; Roll: C_11713; Schedule: A.
James Loving household, 1860 U.S. Census, Ottawa County, Michigan, population schedule, Georgetown, sheet Pg, dwelling 56, family 52, age 42, occupation Farmer. James Lowing household, 1880 U.S. Census, Kent County, Michigan, population schedule, Grand Rapids, ED 148, sheet 488B, dwelling 278, family 316, age 61, occupation Engineer. California, Pioneer and Immigrant Files, 1790-1950 [database on-line]. Provo, UT, USA: Ancestry.com Operations, Inc. This collection was indexed by Ancestry World Archives Project contributors., online WWW.ANCESTRY.COM, California State Library; Sacramento, California; Sacramento County, California, Pioneer Index File (1906-1934), A-Z; California History Room: MICROFILM 734; Roll Number: 44. Ely Hearold household, 1860 U.S. Census, Eldorado County, California, population schedule, Placerville, sheet 134, dwelling 1467, family 1467, age 31, occupation Farmer. Eli Harold household, 1870 U.S. Census, El Dorado County, California, population schedule, Placerville, sheet 95, dwelling 107, family 85, age 42, occupation Farmer. Eli Herrill household, 1880 U.S. Census, El Dorado County, California, population schedule, Placerville, ED 55, sheet 124D, dwelling 299, family 306, age 51, occupation Farmer. Find A Grave - Memorial Page ceated by Leslie W. Saint Editor, The Flint River Company of 1850 newsletter, online www.findagrave.com, From "The Moutain Democrat, Placerville, El Dorado County, California Aug. 6. 1890, p.1. Josias Lambert household, 1850 U.S. Census, Fayette County, Josias Lambert, population schedule, Jackson, dwelling 290B, family 142, age 25, occupation Farmer. Josiah Lambert household, 1860 U.S. Census, Blackford County, Josiah Lambert, population schedule, Licking, dwelling 568, family 189, age 35, occupation Farmer. Josiah Lambert household, 1870 U.S. Census, Daviess County, Missouri, population schedule, Marion, sheet 340B, dwelling 78, family 76, age 49, occupation Farmer. Josias Lambert household, 1880 U.S. Census, Daviess County, Josias Lambert, population schedule, Marion, ED 247, sheet 175A, dwelling 80, family 84, age 55, occupation Farmer. James Lawson household, 1900 U.S. Census, Amador County, James Lawson, population schedule, Township 5, ED 9, sheet 1A, dwelling 46, family 51, age 71, occupation Painer and Upolster. Virginia, Deaths and Burials Index, 1853-1917 - Virginia, Deaths and Burials Index, 1853-1917 [database on-line]. Provo, UT, USA: Ancestry.com Operations, Inc., 2011. Original data: Vrginia Deaths and Burials, 1853–1912." Index. FamilySearch, Salt Lake City, Utah, 2010. Index entries derived from digital copies of original and compiled records., online search.ancestry.com, Father Name: Jno. M. Young; Mother Name: Susan Young; Spouse Name: Jos. W. Button: FHL Film Number: 2056978. Ancestry.com: Fridley, Beth. Culpeper County, Virginia Deaths, 1880-96 [database on-line]. Provo, UT, USA: MyFamily.com, Inc., 1999., online http://www.ancestry.com, Cause of Death: HEART DISEASE; Age: Years: 69; Father's Name: John Young; Mother's name: Susan; Birthplace: Loudoun CO., VA.
Frederick Button household, 1850 U.S. Census, Culpeper County, Virginia, population schedule, Not Stated, dwelling 270, family 857, 857. Find A Grave - Memorial Page, online www.findagrave.com, Jane H Button - Find A Grave Memorial# 20896580. Virginia Marriages,1785-1940, database, FamilySearch, online http://familySearch.org, FamilySearch (https://familysearch.org/ark:/61903/1:1:XRHV-Q6D : 5 December 2014), Joseph W. Button and Jane H. Young, 05 Jan 1847; citing Culpeper, Virginia, reference p 37; FHL microfilm 30,927. Jos W. Butten household, 1860 U.S. Census, Culpeper County, Virginia, population schedule, Unstated, sheet 26, dwelling 222, family 198, age 34, occupation Farmer. Joseph W. Button household, 1870 U.S. Census, Culpeper County, Virginia, population schedule, District 2, sheet 688, dwelling 993, family 983, age 44, occupation Merchant & Farmer. H. Jane Button household, 1880 U.S. Census, Culpeper County, Virginia, population schedule, Jefferson, ED 034, sheet 350A, dwelling 114, family 116, age 51, occupation Keeping House. Genealogy Of The Fishback Family In America, The Descendants of John Jishback, The Emigrant, With An Historical Sketch Of His Family And Of The Colony At Germanna And Germantown, Virginia - 1714-1914; Compiled and Edited by Willis Miller Kemper., online search.ancestry.com, Page 128 - Susan M. Fishback (Martin, John Frederick, John.). Find A Grave - Memorial Page, online www.findagrave.com, Richard Clegg Bohart - Find A Grave Memorial# 51527246. Richard Bohart household, 1850 U.S. Census, Clark County, Richard Bohart, population schedule, Monroe, dwelling 82B, family 168, age 21, occupation Farmer. Dodd, Jordan. Indiana Marriages to 1850 [database on-line]. Provo, UT, USA: Ancestry.com Operations Inc, 1997. Original data: Electronic transcription of marriage records held by the individual counties in Indiana., online search.ancestry.com, Eliza Dunlivey and Richard C. Bohart. Richard C. Bohart household, 1870 U.S. Census, Nodaway County, Missouri, population schedule, Hughes, sheet 555A, dwelling 66, family 68, age 43, occupation Dry goods and Grocery Store. James Weatherlby household, 1880 U.S. Census, Baltimore, James Weatherlby, population schedule, Govanstown, ED 244, sheet 224A, dwelling 60, family 65, age 52, occupation Carriage Manufacture. James Weatherley household, 1870 U.S. Census, Baltimore County, James Weatherley, population schedule, Townsentown, dwelling 585A, family 1719, age 42, occupation Coach Maker. New York, New York City Municipal Deaths, 1795-1949, database online at FamilySearch, online familysearch.org, FamilySearch (https://familysearch.org/ark:/61903/1:1:2WNQ-179 : 20 March 2015), Ann Slaughter in entry for Bettie Jurey Huff, 26 Feb 1912; citing Death, Brooklyn, Kings, New York, United States, New York Municipal Archives, New York; FHL microfilm 1,324,248. Sam. P. Huff household, 1860 U.S. Census, Rockbridge County, Virginia, population schedule, Lexington P.O., sheet 2330, dwelling 2330, family age 32, occupation Bapt. Preacher. Find A Grave - Memorial Page, online www.findagrave.com, Rev Samuel Poindexter Huff - Find A Grave Memorial# 63667216. S. P. Huff household, 1870 U.S. Census, Albemarlel County, Virginia, population schedule, Sam MillerTownship|493B, dwelling 756, family age 42, occupation Teacher?, age 42, occupation Teacher? Slaughters Huff household, 1900 U.S. Cen, Baltimore County, Slaughters Huff, population schedule, Baltimore City, ED 0216, sheet 3B, dwelling 44, family 45. North Carolina, Deaths, 1931-1994; At FamilySearch, online familysearch.org, FamilySearch (https://familysearch.org/pal:/MM9.1.1/FPPL-DZR : accessed 07 Nov 2014), Phillip Augustus Fore, 08 Feb 1943; citing Lenoir, Caldwell, N.C., 201, State Department of Archives and History, Raleigh; FHL microfilm 1943224. Js. A. Fore household, 1860 U.S. Census, Chesterfield County, Virginia, population schedule, Manchester P.O., sheet 375, dwelling 483, family 483, age 41, occupation Farmer. Malissa H. Fore household, 1870 U.S. Census, Chesterfield County, Virginia, population schedule, Manchester, sheet 202B, dwelling 14034, family 1626, age 40, occupation Keeping House. Laticia H. Fore household, 1880 U.S. Census, New Hanover County, North Carolina, population schedule, Wilmington, ED 144, sheet 101A, dwelling 277, family 352, age 51, occupation Keeping House. Find A Grave - Memorial Page, online www.findagrave.com, Harriett Letitia McGee Fore - Find A Grave Memorial# 35061805. Ancestry.com. Virginia, Select Marriages, 1785-1940 [database on-line]. Provo, UT, USA: Ancestry.com Operations, Inc, 2014. Original data: Virginia, Marriages, 1785-1940. Salt Lake City, Utah: FamilySearch, 2013., online search.ancestry.com, Name: James A. Fore; Marriage Date: 23 Aug 1847; Marriage Place: Chesterfield, Virginia; Spouse: Letitia Harriet Mc Gee; FHL Film Number: 30869; Reference ID: p. 331. Find A Grave - Memorial Page, online www.findagrave.com, Harriett Letitia McGee Fore - Find A Grave Memorial# 35061805; Photo of Headstone. Find A Grave - Memorial Page, online www.findagrave.com, Stephen D. Webb - Find A Grave Memorial# 99900059. Find A Grave - Memorial Page, online www.findagrave.com, Elenor Harbord Webb - Find A Grave Memorial# 99900277. Wm. Platt household, 1850 U.S. Census, McLean County, Illinois, population schedule, White Oak Grove, dwelling 49A, family 920, 938. Find A Grave, database and immages, online www.findagrave.com, Adelia Bacon-Pride, Find A Grave Memorial no: 41476219. Abel Libhart household, 1860 U.S. Census, St Joseph County, Michigan, population schedule, Leonidas, sheet 21, dwelling 165, family 165, age 31, occupation Farmer. Abel Libhart household, 1880 U.S. Census, San Joaquin, California, population schedule, Dent, ED 105, sheet 223C, dwelling 57, family 54, age 52, occupation Farmer. 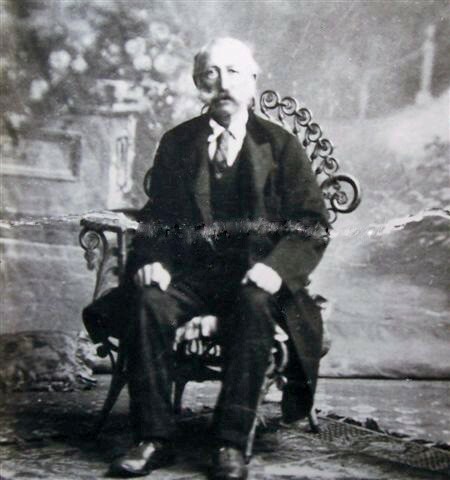 Michigan Births, 1867-1902 - FamilySearch, online beta.familysearch.org, FamilySearch (https://familysearch.org/ark:/61903/1:1:NQND-34K : 30 April 2018), Abel Libhart in entry for Ralph L. Libhart, 1867. Nathaniell Holloway household, 1870 U.S. Census, Orange County, Nathaniell Holloway, population schedule, Durham, dwelling 202B, family 304, age 72, occupation Farmer. Nathl Holloway household, 1850 U.S. Census, Orange County, North Carolina, population schedule, Hillsborough, sheet 176A, dwelling 341, family 341, age 52, occupation Blacksmith. James Watson household, 1860 U.S. Census, Orange County, North Carolina, population schedule, Hillsborough, sheet 474, dwelling 1148, family 1148, age 40, occupaton Taylor. Public Member Tree, online search.ancestry.com, We Shook The Family Tree - CharleneAnderson991. James W. Watson household, 1900 U.S. Census, Durham County, North Carolina, population schedule, Durham, ED 0025, sheet 4A, dwelling 63, family 63, age 43, occupation Farmer. Edmund James Cleveland, The Genealogy of the Cleveland and Cleaveland familys, Page 1733. George T. Wilmer household, 1850 U.S. Census, Botetourt County, George T. Wilmer, population schedule, District 8, dwelling 145A, family 1440, age 31, occupation Epis Clergy. George T. Wilmer household, 1860 U.S. Census, Pittsylvania County, Virginia, population schedule, North District, sheet 251, dwelling 671, family 671, age 41, occupation Epis. Clgyman. England & Wales, FreeBMD Marriage Index: 1837-1983 [database on-line]. Provo, UT, USA: The Generations Network, Inc., 2006. Original data: General Register Office. England and Wales Civil Registration Indexes. London, England: General Register Office., online www.ancestry.com, Name: Sarah Wolfe Pratt; Year of Registration: 1861; Quarter of Registration: Oct-Nov-Dec; District: North Witchford; County: Cambridgeshire; Volume: 3b. 1841 British Census Index, online search.ancestry.com, Grounds Goodman: Class: HO107; Piece 81; Book: 10; Civil Parish: Doddington; County: Cambridgeshire; Enumeration District: 6; Folio: 6; Page: 7; Line: 19; GSU roll: 241228. 1871 British Census Index., online search.ancestry.com, Class: RG10; Piece: 1610; Folio: 43; Page: 11; GSU roll: 829924. 1861 British Census Index., online search.ancestry.com, Mathew Springs:Class: RG9; Piece: 1044; Folio: 68; Page: 12; GSU roll: 542742. Debbie Gowen Research, "Debbie (Pratt) Gowen - Emails," e-mail to David C. Pratt, Photo copy of Certified copy of entry of Marriage: Application number 3390063/1. England & Wales, FreeBMD Marriage Index: 1837-1983 [database on-line]. Provo, UT, USA: The Generations Network, Inc., 2006. Original data: General Register Office. England and Wales Civil Registration Indexes. London, England: General Register Office., online www.ancestry.com, Name: Anne Peck; Year of Registration: 1866; Quarter of Registration: Oct-Nov-Dec; District: North Witchford; County: Cambridgeshire; Volume: 3b. 1881 British Census: Ancestry.com. Provo, UT: Ancestry.com, 2002-. Indexed by Ancestry.com from microfilmed schedules of the England 1881 Census. Images reproduced by courtesy of the Public Record Office, London, England., online search.ancestry.com, Class: RG11; Piece: 1690; Folio: 48; Page: 27; Line: ; GSU roll: 1341403. England & Wales, FreeBMD Death Index: 1837-1915 [database on-line]. Viewed at ancestry.com, online search.ancestry.com, Name: Neville Goodman; Estimated Birth Year: abt 1828; Year of Registration: 1887; Quarter of Registration: Oct-Nov-Dec; Age at Death: 59; District: North Witchford; County: Cambridgeshire; Volume: 3b. Debbie Gowen Research, "Debbie (Pratt) Gowen - Emails," e-mail to David C. Pratt, Photo copy of Certified copy of entry of Marriage: Application number 3390061-1. Levi Morrill household, 1850 U.S. Census, York County, Maine, population schedule, Cornish, dwelling 241, family 197, 197. Ancestry.com, Public Member Trees, online search.ancestry.com/, Crosasdale-Wilber-Lange-Eaton Mansur. Public Member Tree, online search.ancestry.com, CROASDALE WILBER EATON MANSUR - mlcroasdale. 1861 Scotland Census [database on-line]. Provo, UT, USA: The Generations Network, Inc., 2006. Original data: Scotland. 1861 Scotland Census.. Reels 1-150. General Register Office for Scotland, Edinburgh, Scotland., online www.ancestry.com, Alexander Edmonston - Parish: Edinburgh St Mary; ED: 80; Page: 16; Line: 2; Roll: CSSCT1861_125; Year: 1861. 1861 Scotland Census [database on-line]. Provo, UT, USA: The Generations Network, Inc., 2006. Original data: Scotland. 1861 Scotland Census.. Reels 1-150. General Register Office for Scotland, Edinburgh, Scotland., online www.ancestry.com, Alexander Edmonston - Parish: Edinburgh St Mary; ED: 80; Page: 16; Line: 2; Roll: CSSCT1861_125; Year: 1861. Bookseller Employing 9 Men & 4 Boys. 1871 Scotland Census Index., online htt://www.ancestry.com, Alexander Edmonston - Parish: Edinburgh St Cuthberts; ED: 88; Page: 21; Line: 11; Roll: CSSCT1871_166; Year: 1871. Occupation Booksellers. William Darby household, 1870 U.S. Census, Lake County, Illinois, population schedule, Vernon, sheet 670B, dwelling 39, family 39, age 41, occupation Farmer. David H. Buel household, 1870 U.S. Census, Ostego County, David H. Buel, population schedule, Ostego, dwelling 407B, family 271, age 53, occupation Clergyman. Find A Grave - Memorial Page, online www.findagrave.com, Rev David Hillhouse Buel - Find A Grave Memorial# 97479511 (Photo of Headtone). Find A Grave - Memorial Page, online www.findagrave.com, Mary Mayo Atkinson Buel - Find A Grave Memorial#97479380. Thomas Atkinson household, 1850 U.S. Census, Baltimore County, Thomas Atkinson, population schedule, Baltimore, dwelling 389B, family 553, age 42, occupation Prof-Epis. Clergyman. Ancestry.com. North Carolina Marriage Collection, 1741-2000 [database online], online http://search.ancestry.com, Rev. David Willhouse Buel and Mary May Atkinson. Mary E. Swayer household, 1860 U.S. Census, Chittenden County, Vermont, population schedule, Burlington, sheet 111, dwelling 693, family 693, age 55, occupation None. D. H. Buel household, 1880 U.S. Census, Buncombe County, North Carolina, population schedule, Asheville, ED 034, sheet 134C, dwelling 384, family 430, age 63, occupation Minister. John M. Flanery household, 1860 U.S. Census, Scott County, Virginia, population schedule, Esillville P.O., sheet 361, dwelling 545, family 555, age 31, occupation Farmer. Elijah Flannery household, 1850 U.S. Census, Scott County, Virginia, population schedule, Western District, dwelling 413A, family 538, 538. John M Flanary household, 1870 U.S. Census, Scott County, John M Flanary, population schedule, De Kalb, dwelling 32, family 221, age 41, occupation Farm Laborer. Harrison J. Ober household, 1850 U.S. Census, Davis County, Iowa, population schedule, Bloomfield, dwelling 309A, family 20, 20. H D B Cutler household, 1860 U.S. Census, Wayne County, Iowa, population schedule, Corydon, sheet 6, dwelling 46, family 43, age 31, occupation Printer. Horace D. B. Cutler household, 1870 U.S. Census, Schuyler County, Horace D. B. Cutler, population schedule, Liberty, dwelling 359B, family 274, age 41, occupation Editor. Find A Grave - Memorial Page, online www.findagrave.com, CPT Horace D. B. Cutler - Find A Grave Memorial# 46527108. Public Member Tree, online search.ancestry.com, Hoch-Holm -jdavis50169. Durham Bethell household, 1880 U.S. Census, McDonald County, Missouri, population schedule, Pineville, dwelling 092, family 16, 16. Durham Bethel household, 1860 U.S. Census, De Kalb County, Tennessee, population schedule, Liberty P.O., sheet 99, dwelling 288, family 286, age 28, occupation Wheel Wright. Duran Bethel household, 1870 U.S. Census, McDonald County, Missouri, population schedule, Pineville, sheet 31A, dwelling 56, family 55, age 42, occupation Farmer.